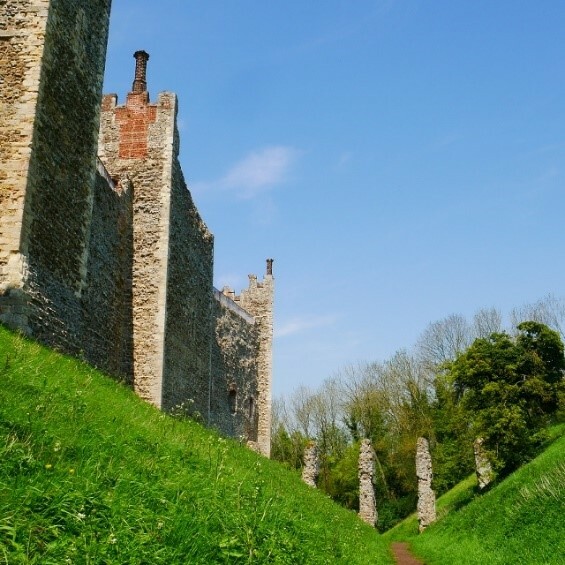 Framlingham Castle is located in the village of the same name, about 12 miles from the coast in Suffolk. From the north or north east, take the A14 towards Harwich, then turn off onto the A1120 at Stowmarket. Brown tourist signs will direct you from there. Keep a look out for Saxstead Mill, just as you turn right onto the B1119 which will take you into Framlingham. From London, Colchester or Ipswich, you can take the A12, exiting onto the B1116 just after Wickham Market. This will lead you into Framlingham. From Norwich, go south on the A140, then turn east onto the A1120 (away from Stowmarket), just after passing through Little Stonham. The nearest stations are Woodbridge, from the south, and Diss, from the north-west. Woodbridge has a service from Liverpool St. station in London, taking about an hour and a half. Diss can be reached either from Liverpool St (hour and a half) or from Norwich (about 20 minutes).You will need to take a bus from either of these stations. Alternatively, you can take a bus from Ipswich. A number of buses pass through Framlingham, from Woodbridge (no. 963), Ipswich (no.s 118 & 119) and from Diss. It will be a slow and winding journey. The Long Distance path, the Suffolk Way which goes from Flatford to Lowestoft runs straight through Framlingham. Framlingham Castle was one of the greatest of mediaeval English castles, and once the stronghold of the Dukes of Norfolk. 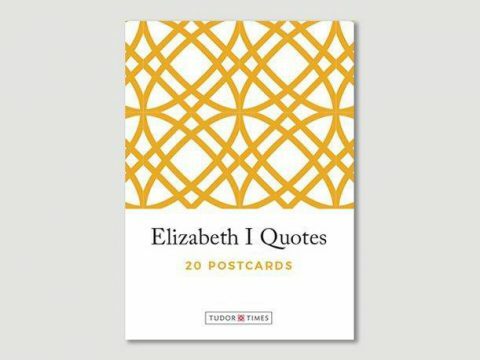 Its peak was in July 1553 when Mary, the daughter of Henry VIII, raised her standard there to signal her intent to fight for the throne. The castle is in the care of English Heritage, and is open from 10.00 to 18.00 throughout the summer season (Easter to end of September, usually). For holders of English Heritage, Historic Scotland, or Cadw memberships, entrance is free, otherwise it is £8.40 for adults or £5.00 for children (including Gift Aid) (May 2016). The castle is on the edge of the lovely village of Framlingham – the roads are narrow, so drive carefully past the market square and the church, to the car park next to the castle. Leaving the carpark, the ticket office is immediately in front of you. Emerging from the ticket office, you walk over the bridge, into the main gatehouse, which sports the arms of Thomas Howard, 2 nd Duke of Norfolk, victor of the Battle of Flodden. Far beneath the bridge is the dry ditch which surrounds the whole castle. Contrary to appearances, this was never a moat, but its narrow base and steep sides would have acted as a very real barrier to an attaching army. Anyone trying to undermine the castle would have been a sitting target for the defenders, through the arrow slits low in the curtain wall. Walking through the gatehouse, you reach a wide, grassy plateau, completely encircled by the original twelfth century walls. The grass is dotted with benches and boasts a couple of beautiful cherry trees – the space is ideal for a picnic, or just for enjoying the sunshine. The original well may also be seen – essential for any mediaeval castle. The interior of the castle was demolished in the seventeenth century by Sir Richard Higham, who replaced it with a poorhouse, one portion of which, constructed of red brick, remains. This is privately owned. The Red House, as it is known, was extended with a charming early eighteenth century house which served as a poor house for over 100 years. A couple of the corbels that once graced the castle walls were incorporated into the brick and flint construction. The ground floor of this house now functions as a shop and an exhibition space. There is a short, but extremely clever, video, which shows the history of the castle in a witty cartoon sequence. There are also some objects pertinent to the history of the castle, although not many. From the rear of the shop, a spiral staircase leads up to a walkway which makes a complete circuit of the battlements – nearly 35 feet (10.5m) high, with a further 12 feet (3.8m) of height in the towers. The stairs are exceptionally narrow and steep – even for a spiral staircase. There is rope bannister for those who suffer from vertigo to cling too. Coming down is much easier – a modern, solid, wooden staircase. The climb is definitely worth it – the walkway gives superb views of the countryside in all directions, including over the mere that once teemed with the fish so important to the mediaeval diet. In the opposite direction, the park that provided the venison is now a mixture of coppice and farmland. Returning to the ground floor, you can stop at first floor level to see the Lanman Museum. This is not extensive, but has an interesting display of items, largely from nineteenth and twentieth century Framlingham. The photography showing how little the town has changed is fascinating. My personal favourite exhibits were the bootees for sheep – slipped on when the animal was suffering foot rot, and the larger boots for horses. These were used to prevent the horses’ iron shoes damaging the lawns of great houses as they drew the early lawn mowers up and down. Exit through the gatehouse and take the path leading down from the bridge – you can again circumnavigate the castle, this time following the route of the dry-ditch. From this angle, you can marvel at the feat of engineering, performed over eight hundred years ago, with only man, water or animal power. On the west side of the castle, are the remnants of further buildings, generally post-dating the main keep. Of particular note are the remains of the tower to imprison Catholic priests during Elizabeth I’s reign.